Somewhere in the world there has always been coders whose priority is to ruin someone’s device or day. These coders take a lot of pride in seeing device owners struggle in using their devices. Before large scale hacks and ransomware became popular recently, we have continually battled with viruses trooping into our computers day in day out and though there are antivirus programs out there to combat this menace, the complicated viruses still find a passage rout into our computers. This is more or less like the human body. Though there are the immune system protecting the body from infection, some stubborn ones still go past this sophisticated barrier to cause harm to the body. Now smartphones are as vulnerable to these viruses as the regular computers. You will agree with me that the phone is the number one gateway to personal data. Because of this, hackers find it easier to get the information they are looking for by targeting your smartphones. Malwares are designed to break into your email, apps and online banking accounts. Since you can’t avoid storing personal data and doing transactions with your smartphones it is imperative that you make conscious effort in avoiding viruses from infecting your devices. And even if the get into your device, you must be able to detect them quickly and remove them us early as possible because the longer malwares stays on your device, the more time it has to steal your data and manipulate your apps. These malwares do not announce themselves of their presence on your smartphones. They stay quiet on your device so that you are unable to detect their presence. I made this article to help you detect when a virus infects your smartphone or tablet and how to get rid of them quickly. Crushing apps. 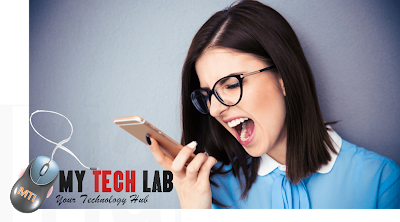 As I mentioned earlier, when your apps start crushing all of a sudden when in the mist of something important and sometimes you have to restart your device before you get those apps working again is the first sign that your smartphone or tablet is infected with a virus. To solve this virus interference with your apps, make sure you update all your apps immediately. Data usage. Another sign to detect a virus infection on your device is the fast exhaustion of your data. This is simply because the virus is running a lot of background task to communicate with the internet and sending your personal data to their owners severs. Pop-ups. Many websites have pop-up ads. But if you start seeing pop-ups all the time, especially for products or services that seem suspicious, you may want to check for a virus. Whatever you do don’t click on the links. Virus-based pop-up are designed to even make your device more vulnerable to other attacks. Unwanted apps. Trojan apps are all the time designed to look legitimate like the real apps to avoid detection. So the best way to identify them is constantly checking your installed apps to find apps that looks familiar but you don’t remember downloading them. If you find apps like that, check first the authenticity and if you don’t see them to be authentic enough based on your judgement, quickly uninstall them form your device. Rapid Battery drainage. Because these viruses run a lot of background tasks, not only will day exhaust your data but also drain your device battery very fast. So if you realize a recent faster battery drainage on your smartphone or tablet, be suspicious of a virus infection and scan through your installed apps to find any Trojan installed. There is this believe that apple devices can’t be infected with virus but frankly speaking every device currently on the market is as vulnerable to hacks and virus infection as any other. Besides, that is the more reason why they keep on releasing OS updates to their devices to solve these vulnerabilities by patching these glitches. Regardless of the device type you are currently using, you have to take viruses seriously so that you won’t fall victim to these “insane coders” creating the viruses and find happiness in seeing people fall victim to their works.